When my emotions were high and my confidence low – I always had kind, caring support. 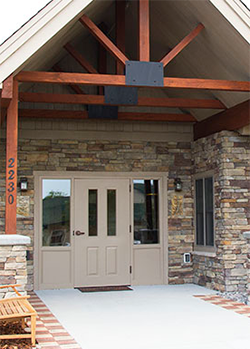 RiverStone Health Hospice Services cares for terminally ill patients who want to receive comfort-oriented care rather than continue to seek a cure. Hospice care emphasizes quality of life. It neither hastens death, nor prolongs life. We provide hospice services to patients in Yellowstone, Stillwater, Carbon and Musselshell counties. RiverStone Health Hospice Services is nationally accredited by the prestigious Community Health Accreditation Program (CHAP), assuring we adhere to the highest quality standards of compassionate care. We provide care and grief support services wherever home is. Most hospice patients receive care in their home, or the home of a relative or friend. But hospice care can also be provided in nursing homes or other facilities. Working together with patient and family, our team of hospice professionals and volunteers help relieve physical symptoms and decrease psychological, social, emotional, or spiritual distress of patients and their caregivers. Our 24 hour on-call nursing services are available to meet urgent needs. If remaining at home is not possible because of medical or other needs, we offer a peaceful and comforting hospice home. The 12-bed RiverStone Health Hospice Home, built in 2011, is located on Billings’ West End and was designed to offer an alternative to hospital care for inpatient needs. RiverStone Health Hospice Home is the only licensed inpatient and residential hospice home in Yellowstone County. Caring and compassionate hospice professionals staff the home 24 hours a day, 7 days a week.